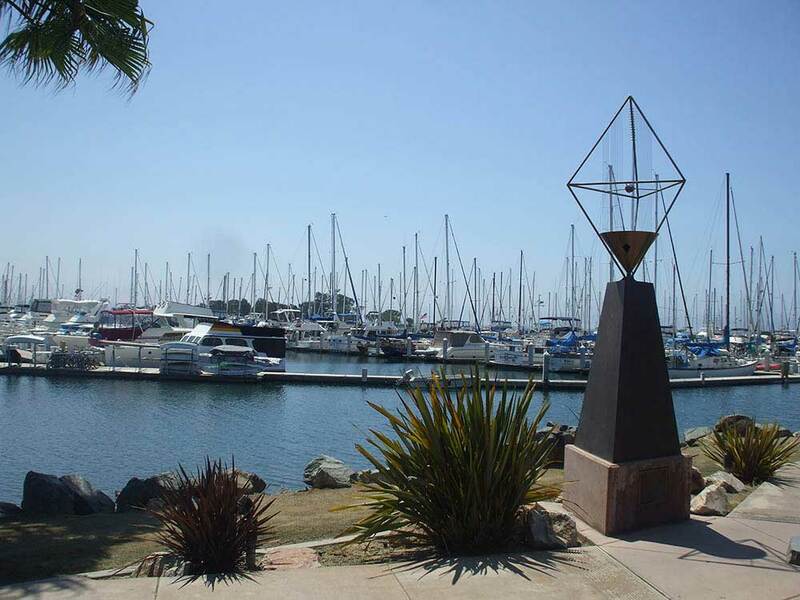 On San Diego Bay, surrounded by landscaped parks & its own marina. Amenities include a general store, boutique, picnic area w/barbeques, swimming pool & spa, laundry, club rooms & adjacent water-front restaurants. This used to be the best place to stay in the greater San Diego area. Not any more. The old management changed to Sun Resorts and not for the best. Not only did the rates go up but the customer service went way down. We were very excited about the resort reopening after March 1st and reserved for a month. Th fees were a little high but we remembered how many amenities there were. Well there is no exercise room at the present and the pool was shut down due to some sort of gate problem. Sooo no resort? Also no activities. So basically an RV storage lot. I called Sun Resorts and was on the phone for over 48 minutes. We will never stay again and highly recommend that you do the same. We have stayed here twice. For a week in the spring and two months in the summer. We have a 35 foot fifth wheel. Getting to the Rv park is easy. Check in process is friendly and easy. We had pull through on our first stay and interior on our second. Both had plenty of room. Hedges between most spaces offer a little bit of privacy. Beautiful well kept park. Perfect weather. Fairly peaceful, though it was a bit louder the few weeks around Fourth of July- many more kids at that time. Trolley into downtown San Diego is easy to use, blue line from H street station (station is about a mile away.) it's about 10-15 minute ride on blue line into downtown. Overall, a great park. Friendly & professional staff, very nice grounds, perfect weather. We will return. Beautiful convenient location on the water - marina on one side and nice public park on the other. Grass and landscaping well done around the perimeter. Convenient (1 mi walk) to the trolley into town and decent restaurant//bar at the marina. However we felt it was way overpriced and much too crowded. We have a 42 ft coach towing a little jeep and were on an interior back-in site. On making reservations we were assured there would be adequate room. Not really! RV totally filled the site and we had to wedge the car in so that there was no access to the hookup side of the coach and car door opened into the bushes. We didn't find any other parking for the car. We stayed 10 days and it was pleasant initially. But the end of our stay was over Memorial Day weekend. WOW! Park was filled to the brim with some roads nearly impassable with kids, cars, games and folding chairs on the roads. The noise was unbelievable, lasting until 1-2 AM with drinking and partying under our windows. We had to call security twice. This may be one of the best parks in San Diego but we won't return because of the overcrowding and price. Very nice RV resort. Level concrete pads with plenty of room for slide outs and awnings. Landscaped shrubs separate the adjacent sites. Located on San Diego Bay. The resort has beaches, public parks, private playgrounds, large pool and spa, live entertainment, courtyard for happy hour and karaoke, horseshoes, volleyball, nicely equipped store, bike paths, walking paths, adjacent boat marina, boat ramp, large fitness room, waterfront restaurant, fishing pier, bike rental, kayak rental, and paddle board rental. It is truly a resort. The location was great for touring the San Diego area. They were very accommodating in allowing us to check in early, office staff were very nice. The grounds were nicely kept, but It was a bit difficult to back a large rig into a bay view slot due to other sites tow cars sticking out in the road way. The security code was a nice feature especially since the marina bay park is adjacent to the RV park. A negative is that from early afternoon until the wee hours of the night people partied on the beach so if you had a bay view, and we did, it was noisy sitting outside and with the windows open. The restrooms were fairly clean but the main ladies restroom by the office only had 3 shower stalls and was a bit dated. The shower stalls were clean but the adjacent dressing area joining the shower in the ladies room had mold in the corners from sitting water, that area could use a good scrubbing. It was a beautiful resort and very convenient, we would go back again. We were in search of a place close to the Inland Empire where we could get away for a few days before the madness of the holiday season hits. We checked several areas in the Big Bear area and San Diego area as we were looking for someplace with cooler weather. 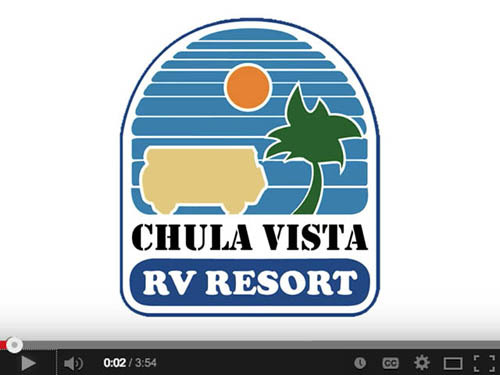 We ended up settling on Chula Vista RV Resort due to location and price. We got one of the better sites which put us at the end of the aisle providing a partial view of the bay and a little more privacy, we did not have any campers on one side. The weather was awesome and the surrounding areas provided us with plenty to do. There is a park surrounding the resort and beyond the park is the bay. The Marina was also just outside the gates for easy access for those who might have a boat. We stayed for 3 nights and enjoyed every min of it. We spend time in the pool, at the park, and even made a trek to the Marina one night for Dinner at the Galley, more on that in a min. The resort is less than a mile away from the MTS station on H street so we walked there, even with 4 kids under the age of 8 it was very doable. We took the trolley to seaport village and ate lunch and took the kids on the Seal tour, it was a lot of fun. The trolley can get you just about anywhere in San Diego you may want to go. The next day we just took the day to hang out at the Resort. I hit the putting green which needs a little refresh but worked in a pinch. We even saw a couple campers wash their dogs at convenient dog wash stations at the park. The park is very pet friendly with a couple of dog areas. That night we walked to the Marina and had Dinner at the "Galley at the Marina". Food was good but the service left something to be desired. We started to think they they forgot about us, still in a pinch it was convenient and the food was certainly edible, price was reasonable considering there was 6 of us. The park itself was awesome, the people their were very friendly both the employees and fellow campers. The store is stocked but pricey so if you don't have a car you might want to make sure you stock up. Although this Resort is further away and not really a good for a quick get away for us, we will surely return in the future. Very nice resort, well manicured, clean and in a wonderful location. The FHUs are fine and each site is a paved and leveled area large enough for a table and your patio furniture. The only negatives would be that it may be tough to find room to park your toad if you have a large rig and it is very expensive IMO. Well located for doing San Diego. Great RV Park! Staff is always friendly, helpful and courteous. Security is always visible which makes it a safe place for our grand daughters. Love the activities and concerts. We always feel very relaxed and don't want to leave. We always look forward to our next trip back! A very nice facility with very pleasant staff. The place is extremely quite at night which is a great plus as you can sleep with all your windows open. We stayed in one of their interior pull-through sites and we have a 44ft 5th wheel toy hauler. There was plenty of room not only for my F350 but for a second car as well. The facilities, restrooms and showers are all very clean. I had no issues with power (50A) or water pressure. They have a very nice pool which the kids really enjoy. Even though we don't have pets they have some really nice amenities for pets including a bathing area. Keep in mind this place is on the East side of the San Diego Bay at the very South end of the Bay so you are not on ocean front. It's a short drive to the strand if you want to visit the ocean front. There are a few paths to walk around by the bay. It's next to a nice marina that has a public boat launch and a decent restaurant that hosts live music on the weekends all within walking distance. If you want to be away from the crowds this is a very nice place to stay. The deluxe interior sites are small for big rigs, we were in a 40ft motorhome. Parking for the tow car was limited and non-existent for any visitors at the site. The park's water pressure varied throughout the day; at times it was almost no pressure at all. The laundry room was very clean with lots of machines. It was quieter than we expected as close to the freeway as we were. This place is quite, the lot is very clean. Staff are very professional, trash pick up daily. Various selection of space to choose from. We did not go use the restroom, so there for I'm leaving any start, it doe not meant it's bad. We choose bay section, and its beautiful. Short distant walk to the park behind the lot.